Employer’s liability insurance is a compulsory requirement for most businesses that have more than one employee and not having insurance can incur a fine. But employer’s liability insurance is more than just meeting a legal requirement as it can help both you and your employees if a claim is made as the result of an injury or illness that results from their job. Protecting yourself from costly claims and legal expenses can be cost effective and help you to mitigate against the risk. We have examined what the leading insurance providers can offer you below. The table below gives a quick comparison of the top UK providers for employer’s liability insurance. Some of the features and benefits of Aviva’s employer’s liability insurance. Aviva provides a wide range of business insurance such as liability insurance which includes employer’s liability and public liability insurance. Employer’s liability is generally a legal requirement if you employ more than one employee. It provides businesses with financial security when it comes to prosecutions or claims about health and safety. Aviva’s employer’s liability insurance covers businesses against the cost of legal costs and expenses as well as compensation costs and court attendance fees resulting from a claim from an employee or a health and safety prosecution. Aviva’s cover is double the legal requirement amount at £10 million. Some of the features and benefits of AIG’s employer’s liability insurance. AIG is a business insurance provider that offers a range of liability insurance which includes employer’s liability, public liability, product liability and excess liability insurance. Their employer’s liability insurance provides cover that will pay the costs of compensation payouts, the claimants’ legal fees, your defence costs and defence costs for health and safety prosecutions. AIG’s employer’s liability insurance is an elite, premium product that offers a range of extras which include employment-related accident benefits up to the value of £10,000, medical rehabilitation, health and safety e-learning platform for managers and employees, and dedicated case managers to support injured employees. Some of the features and benefits of RSA’s employer’s liability insurance. 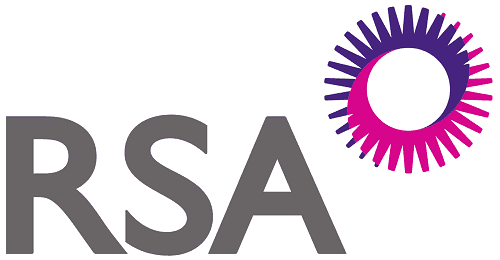 RSA is an insurance provider who offers its products to intermediaries and brokers. They provide a wide range of business insurance products that can help protect businesses from claims. They have a broad range of liability insurance cover that includes employer’s liability insurance. RSA’s employer’s liability insurance is designed to meet the needs of the client with their tailored products that will adapt to suit most businesses. When they examine your application for insurance, they will assess your needs and how you manage risk and those businesses that manage risk more proactively and effectively will be offered lower premiums. Some of the features and benefits of AXA’s employer’s liability insurance. AXA is an insurance provider that offers a wide range of business insurance products which includes liability insurance such as employer’s liability insurance. Their employer’s liability insurance offers cover that is for £10 million as standard which is double the legal requirement. AXA’s employer’s liability insurance can cost as little as £42 per year which covers legal and compensation costs. Their cover can also include health and safety prosecutions and compensation for each day in court set at £250. They offer 10% discount to online applications, free legal helpline and covers temporary staff and contractors as well as your own staff. Some of the features and benefits of Direct Line for Business’ employer’s liability insurance. 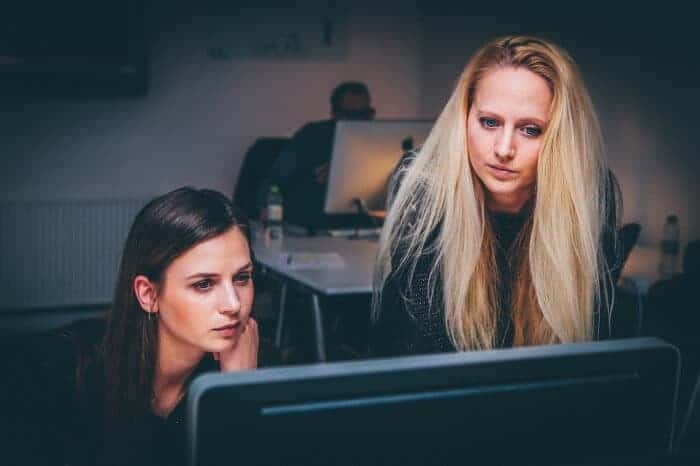 Direct Line for Business is an insurance provider that covers a broad range of business insurance products that are designed specifically for small businesses including sole traders. It can be purchased directly from them as part of a combined insurance product, added to other liability insurance or as a standalone product. Direct Line for Business’ employer’s liability insurance offers £10 million cover as standard which exceeds the £5 million minimum legal requirements. The policy will cover all legal costs and fees for a claim made by an employee based on an injury or illness as a result of them working for you. Some of the features and benefits of ACE’s employer’s liability insurance. ACE is an insurance broker that specialises in providing cover for small businesses and in particular those in the motor trade and taxi businesses. They offer a range of business insurance products which include several types of liability insurance such as employer’s liability insurance. ACE offers a choice of employer’s liability insurance which allows you to compare policies and choose the most affordable quote for you. They can offer flexible policies that can be tailored to your needs. The policy will cover legal costs and any compensation payments for work-related illnesses and injuries. They offer complementary cover including other liability cover such as public and product liability. Some of the features and benefits of Ageas’s employer’s liability insurance. Ageas is one of the largest insurers in the UK and is part of an international group that offers a wide variety of insurance products to the domestic and business market. They have a range of tailored insurance products that provide comprehensive cover based on your profession, industry and business type. Ageas does not sell employer’s liability as a standalone product but as a part of a wider package that can be tailored to meet your needs as they offer optional cover with each policy which includes employer’s liability insurance. Their employer’s liability insurance will cover the costs associated with a claim for a work-related injury or illness. Some of the features and benefits of QBE’s employer’s liability insurance. QBE is a large insurance provider that has a wealth of experience in managing and insures a wide variety of risks. They provide insurance cover for businesses of all types in the UK and Ireland. They have a network of offices across the UK and Ireland. QBE’s employer’s liability insurance is available as standalone or combined cover with a maximum capacity per customer of £100 million across all policies. Their policies are designed to meet industry and government regulations and they will tailor their products to your needs. They have experience across a wide variety of sectors and have a skilled claim handling team to assist with any claims. Some of the features and benefits of Lloyds Bank’s employer’s liability insurance. 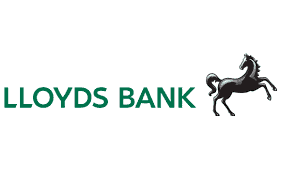 Lloyds Bank is a financial provider that also offers a range of insurance for individuals and businesses. They provide their business insurance with Arthur J. Gallagher Insurance Brokers who will seek out the best cover for you from a panel of insurers. You can purchase the insurance directly from Lloyds Bank online. Lloyds Bank’s employer’s liability insurance can’t be purchased as a standalone product but as an extra to their range of public liability insurance, which can be a profession specific product to tailor better for that profession’s needs. It provides £10 million cover in the event of a claim from an employee for a work-related injury or illness. Some of the features and benefits of Chubb’s employer’s liability insurance. Chubb is an experienced and knowledgeable underwriter who offers a wide range of insurance cover for businesses. They provide their insurance products through a network of brokers. Their employer’s liability insurance is available to most businesses and they will consider most risks including those with industrial disease exposure if appropriate risk management controls are in place. Chubb’s employer’s liability offers a high level of indemnity to cover claims for work-related injuries or illnesses and they will pay all legal and compensation costs. It can be purchased as a standalone product or combined with other cover. They also offer employment practices liability insurance to protect from other employee claims. Some of the features and benefits of Covea’s employer’s liability insurance. 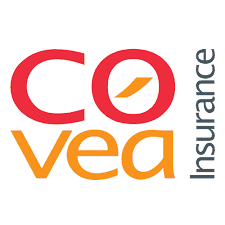 Covea Insurance is an insurance provider that operates in the UK and other parts of Europe. They offer a wide range of business insurance including liability, accident and property insurance. They have a network of UK offices to support businesses directly or through brokers and intermediaries. Covea’s employer’s liability insurance is not sold as a standalone product but can be combined into any of their profession specific products. They offer insurance in a modular design as you can build your own package of insurance. Their employer’s liability insurance will cover any claims for work-related injuries or illnesses, the legal costs and any resulting compensation payments. Some of the features and benefits of Hiscox’s employer’s liability insurance. 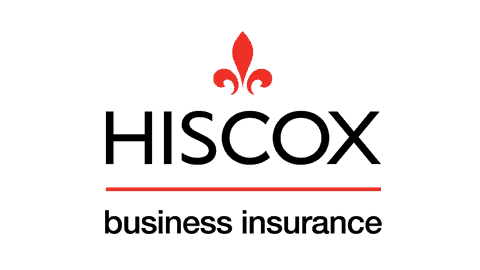 Hiscox is a specialist insurer and underwriter for personal and business insurance products which include a range of liability cover and business risks. They provide employer’s liability insurance as a standalone product or it can be combined with public liability insurance to give more comprehensive cover. Hiscox’s employer’s liability insurance offers up to £10 million in cover which is double the legal requirement. It protects businesses from the costs of any employee claims for compensation as a result of a work-related injury or illness which includes legal and compensation costs. It covers all employees as well as contractors, freelancers, volunteers, students and trainees. Some of the features and benefits of AmTrust Europe’s employer’s liability insurance. AmTrust Europe is an international insurance provider that operates in the UK as an underwriter offering its products through a network of brokers. They offer a broad range of insurance cover which includes property, accidents and liability insurance. They claim to offer competitive pricing on their products that are flexible in their design to meet business’ needs. AmTrust Europe’s employer’s liability insurance offers £10 million cover that protects against the cost of employee’s claims for work-related injuries or illnesses which they will cover legal and compensation costs. They target specific industries including contracting, light manufacturing, service sector, haulage and leisure. Some of the features and benefits of Markel direct’s employer’s liability insurance. Markel direct is an insurance provider that offers business insurance to a variety of businesses which includes contractors, consultants and self-employed professions. They offer a range of business insurance that includes protection for businesses, their property and management. Markel direct’s employer’s liability insurance offers cover from as little as £5 that can help you to meet your legal requirement. They provide cover that protects against claims for work-related injuries and illnesses and gives financial cover for the legal and compensation costs. Markel direct offers its insurance products direct to customers with transparent terms and no hidden fees. Some of the features and benefits of Travelers’ employer’s liability insurance. Travelers is an experienced insurance underwriter that provides insurance through a network of insurance brokers. They offer a broad range of insurance products to small to large businesses that include general insurance for liability, accident and property as well as specialist insurance. Travelers’ employer’s liability insurance can be purchased as a standalone policy or combined with public liability or bought as part of a combined package. It protects businesses from the costs of work-related claims for injury or illness which includes both legal expenses and compensation payments. Their insurance offers peace of mind and that they will handle the claims within minimal disruption. Some of the features and benefits of CNA Hardy’s employer’s liability insurance. CNA Hardy is an international insurance underwriter that provides insurance products for a range of insurance intermediaries throughout Europe. They provide a variety of insurance products that are tailored to product types or industries and professions. CNA Hardy does not offer employer’s liability insurance as a standalone product but as a combined package of liability cover or as a key item in their insurance packages. The employer’s liability insurance covers work-related injury and illness claims from employees. Their cover can be tailored to meet your needs, but it essentially covers the costs of defending a claim and the compensation costs. Some of the features and benefits of NIG’s employer’s liability insurance. 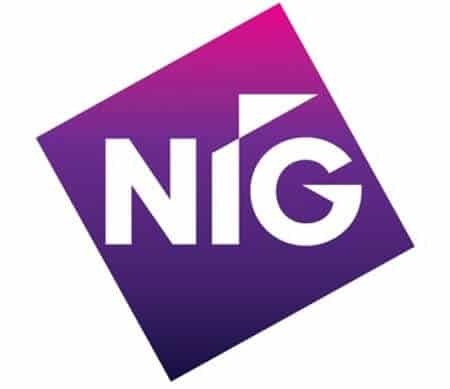 NIG is an insurance provider that offers a range of business insurance products to businesses of all sizes from small independents. They specialise in commercial insurance only and have experienced underwriting teams to understand your risks. NIG’s employer’s liability insurance is not available as a standalone product but can be combined into any of their insurance packages. They offer a range of business or circumstances specific insurance products as well as general insurance products. It covers you for claims from employees for work-related injuries and illnesses and gives you financial protection for legal expenses and any compensation payments. Some of the features and benefits of Churchill’s employer’s liability insurance. Churchill is an insurance provider that specialises in domestic insurance and products for small businesses and landlords. They provide combined insurance products for small businesses that can be tailored to meet their specific needs by offering a range of optional extra cover. Churchill’s employer’s liability insurance is an added extra that provides businesses with up to £10 million worth of protection against claims from employees for work-related injuries or illnesses. Their employer’s liability insurance gives financial protection against the costs of these claims and covers the legal expenses and compensation costs. You can purchase their insurance direct and through their website where they offer existing policyholders a discount. Some of the features and benefits of Glemham Insurance’s employer’s liability insurance. 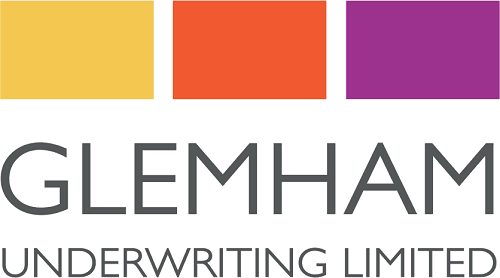 Glemham Insurance is a specialist underwriter that provides property, liability and professional liability insurance to a network of brokers in the UK. Their preference is to provide combined cover for businesses that includes property and liability insurance, but they will also provide a combined liability cover. Glemham Insurance’s employer’s liability insurance is not a standalone product but can be combined with public and product liability as well as the option to add professional indemnity insurance and excess layer liability. Their employer’s liability cover offers up to £10 million to protect against the costs of claims from employees for work-related injuries and illness.